The evidence for the role of exercise in maintaining health, independence and well-being is overwhelming. This book aims to educate and support current and future clinicians, transform their practice with exercise as a prescription. If you are a primary care doctor, buy this book and keep it readily available in your clinic. It will become very dog-eared in short order. 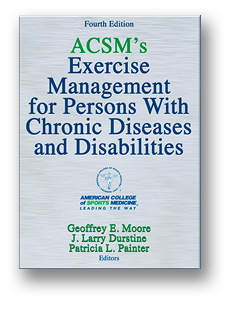 If you are an allied health care provider who works with patients that have chronic conditions, but you and your co-workers aren’t knowledgeable about exercise in chronic disease, then you too should buy this book. If you are a clinical exercise physiologist, a physical therapist, or studying to become an exercise professional who works with people that have a chronic disease or disability, you certainly need this book. If you already have an earlier edition, take a close look at this one because it is more than a sim-ple “update”. Rather, it is a substantial re-writing designed to help forge your profession in to-morrow’s health care environment. • In some circumstances, increase longevity. 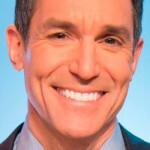 These are the issues that patients with chronic conditions and their families really care about – maintaining the vitality, physical functioning and independence that they sense is slipping away. The evidence for the role of exercise in maintaining health, well-being and the physical function-ing required to maintain independent living is overwhelming. While not all of these outcomes can be realized for all conditions discussed in this book, no other single health prescription has the potential to achieve all of these benefits. Medical schools and post-graduate training of phy-sicians across the globe must begin to address exercise in the contemporary training of physicians, and health care systems must begin to incorporate exercise into chronic care management. If that describes a health care system you want to create, there is no other resource so thoroughly focused on helping you achieve that transformation.